Have you seen that new Dogs documentary series on Netflix? The cute factor is so overwhelming that I cannot seem to binge it. Each pup has an adventure worth savoring. In fact, every dog has its own story. Many pups sit at shelters waiting to be adopted for months; when their day finally comes, it is the best moment of their life and of their new family’s lives too. Puppy love is infectious. When deciding which type of dog to bring home, though, there are many factors to consider. Their size, exercise regimen, grooming needs, and other social traits, like will they get along with children? If you are not sharp on your knowledge of dog breeds, choosing between a few mutts may prove to be a crapshoot. Generally speaking, working breeds are large and need more exercise while toy breeds can be stubborn and loyal to a fault. American Kennel Club is a great resource to determine the right kind of dog for your home. It even puts out a list every year that showcases the most popular dog breeds; we have found the top 15 and described their attributes below. While you may not find many purebred pups at your local shelter, being armed with an understanding of the most prevalent breeds will help you make an informed decision. The Labrador Retriever has been the most popular breed of dog for many years—for good reason. These lovable pups have been traced back to Newfoundland island but ended up inexplicably taking the name of the neighboring Canadian coast. Either way, they make some of the best companions. German Shepherds are another resilient and loyal breed that has proven to make a great pet. They are smart and hard-working, making them great for households with or without small children, though they are far more aloof than the naturally friendly Retrievers. Very similar in many ways to the Lab, Golden Retrievers are just as kind-hearted and family-friendly. They are a smart and athletic breed, which is evident from the Air Bud series—the beloved title character is a Golden. 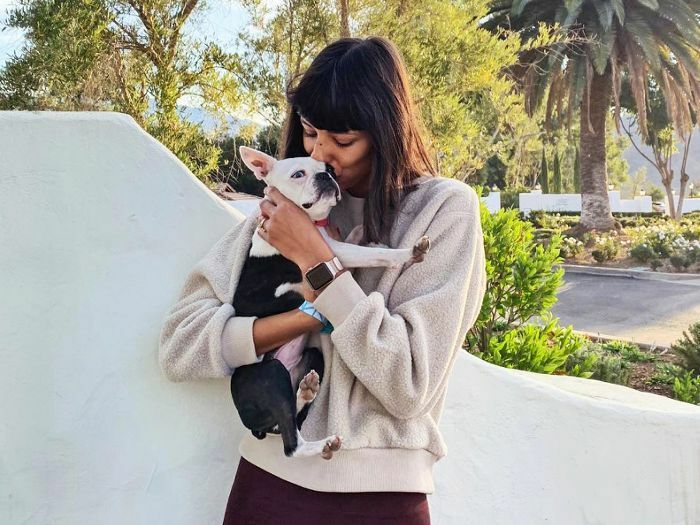 Instagram is filled with many dogs, but some of the most famous accounts belong to these sweet Frenchies. Their pointed ears and wrinkle-laden faces make them irresistibly adorable. French Bulldogs are alert but tend to be quiet and can adapt to any household. The American Kennel Club calls the Bulldog “dignified,” though when they are being coddled like the sweet babies that they are, they probably feel anything but. Bulldogs are loyal and loving, and they would make great companions. Prominent noses and long ears are the most recognizable features of this popular breed. Snoopy may have been too smart for his own good, but he was a loyal friend—not just to Charlie Brown, but to his bird pal, Woodstock. Real beagles tend to have the same characteristics. For many years, poodles have endured wisecracks from the general public due to their enviable fur styles. They are actually whip-smart and highly athletic, having been bred for duck hunting in Germany. Now, we associate these pooches with high society, but they would be happy in any home. While tough on the outside, Rottweilers are actually just loyal softies. They are great guard dogs who are known to be silly and friendly to their owners especially. The Yorkie is the first toy breed to appear on this list, but they are not so different from their fellow canines. Their size and floor-length fur set them apart, but they are known to be feisty and as energetic as any of the typical working breed pets. The original purpose of a Pointer was to quite literally point at and retrieve hunted prey, and no other breed was ever quite as good at it. The German Shorthair variety has a beautiful coat, which is, understandably, why this breed is one of the most popular. There is always a glint in a Boxer’s eyes that tells me they could keep all my secrets. They are a sturdy and tall breed that makes a great watchdog, and they're fiercely loyal to families with children. If you have seen a small Arctic sledding dog, then you have likely crossed paths with a Husky—the Alaskan Malamutes are a larger cousin to the breed, though they look very similar in their face and coat. Because Huskies were bred for hard work in the cold, they make great companions for people with active lifestyles. Ironically energetic, the Dachsunds' genetic predisposition to having short legs gives them very little stamina. Still, they give their all in everything they do and make for great sidekicks and watchdogs. Great Danes are some of the largest breeds out there, which has earned them a reputation for being gentle giants. They are named after the people of Denmark even though the breed has origins in Germany and is even known as a Deutsche dog in its native land. Either way, Great Dane pups are always eager to please and are good with families. Corgis, like Dachshunds, have very small legs, but everything about their personality says “big dog.” They have loads of energy and are fearless, making for loyal and dedicated companions.